Portable Document Format or PDF is one of the most popular file formats in offices and the corporate world mainly because of its unified formatting across platforms, compatibility, and small size. However, when it comes to editing, PDFs have certain limitations. As compared to ‘.doc’ or ‘.docx’ formats, PDFs offer a little scope for editing. 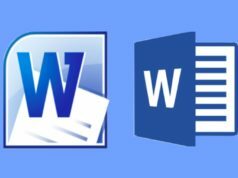 Converting PDFs to Word documents is the option you’re left with if you want to edit a document. There are many online websites and software available if you want to convert PDF to Word. The Internet is full of online PDF to Doc converters but most of them have certain limits such as you can only upload files until a certain limit, number of files you can convert are limited. That’s why we have collated a list of best online tools for converting pdf documents. Before heading over to the list, don’t forget to take a look at our list of free online Photoshop alternatives. 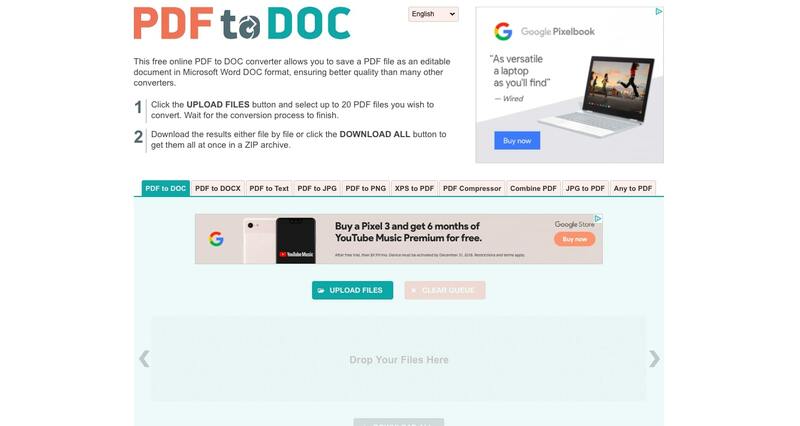 PDf2doc online converter easily turns pdf documents to word format. You can upload and convert 20 files at a time. Once the files have been converted, you can download all the files at once using the “Download All” button in ZIP archive format. The interface of the website is simple, and it can also be accessed on mobile devices. The online tool retains the format and fonts while changing the files to word. One thing that I find annoying in their website is advertisements. Since it is a free website, therefore, they earn by displaying ads. You can use an ad-blocker if you wish but you’ll end up not supporting them. 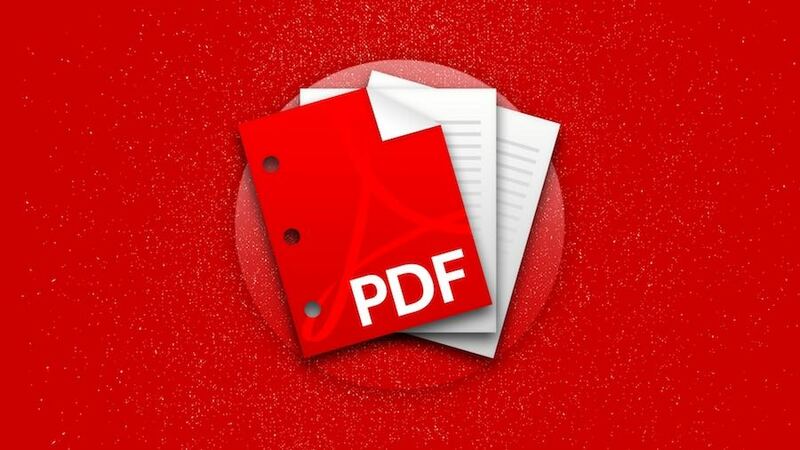 Small PDF offers a convenient way to tackle all pdf-related problems. The web-based application presents 16 different pdf tools and functionalities, including pdf converter, pdf unlocker, pdf splitter, etc. 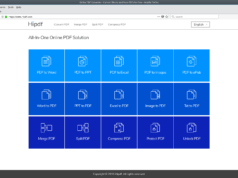 Available for different platforms such as Windows, Mac, and Linux, Small PDF converter allows you to upload files by dragging the file or by choosing the file from your system. On the security front, Small PDF uses 256-bit SSL encryption which is commonly used in banks. Moreover, files are automatically deleted from their servers making it a safe pdf to word tool. After converting the file to word, you can simply download it or generate a link to file for sharing it easily. Small PDF is the ideal choice for day to day file conversion tasks. You can also opt for the Pro subscription that is available for $48 annually, which comes with additional features like creating and saving your digital signatures, freedom from ads, offline tool to convert pdf to word, etc. Zamzar is a powerful converter tool that can not only change pdf to word but many other formats. It supports more than 1200 different conversions including video converter, audio converter, eBook converter, etc. You can process files within four simple steps as given on their website. Its simple and intuitive interface compelled me to include in this list of best PDF to Word software. It is not the best tool out there but performs the conversion task without any glitch. Speaking of cons, Zamzar can only processes files up to 50 MB and you can also experience slow conversion at times. For those who occasionally convert pdf files to docx, Zamzar is a decent choice. Also, for downloading the changed files, you need to enter your email address as you will receive the file there. It would have preferred if there was an option to download the converted files instantly. If you are looking for a simple tool that makes pdf conversion a hassle-free task, then head over to Online2pdf.com. The online tool allows you to choose the format in which you want to convert pdf files. You can merge files, extract pages, rotate pdf pages, compress pdfs and turns the files into different formats. You can select multiple files at one time and change them individually. Advanced OCR is the new feature available on Online2PDF that allows you to scan the pdf file using OCR technology for editing images as well. The online tool says that the converted files are returned to the users and not stored on their servers making it a decent platform for dealing with pdf files containing sensitive information. You can convert a maximum of 100 pages and the maximum file size that can be uploaded is 50 MB. 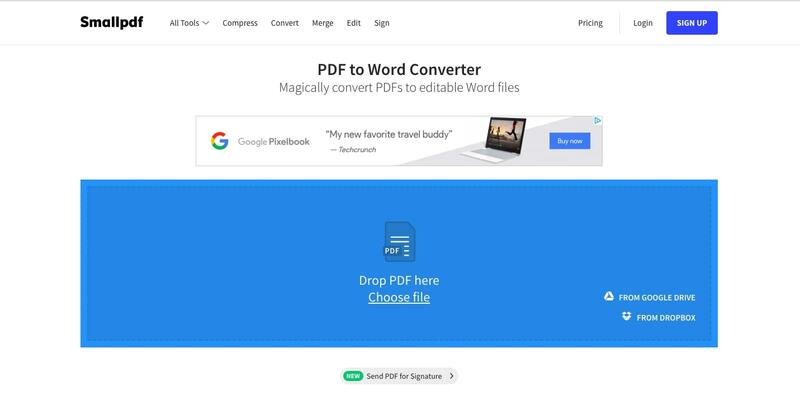 The only downside that I found in this free pdf to word tool is that conversion takes some extra time as compared to other converters mentioned in this list. The files get automatically downloaded and can be downloaded in ZIP format as well. Foxy Utils is an online pdf to doc tool that performs conversion within no time. Similar to Small PDF, this online pdf software is famous for its batch processing capabilities. However, batch file processing feature is not available in the free version. If you have a large number of files to convert and you are ready to pay for it, then there is no better online solution than Foxy Utils. Available for Linux, Windows and Mac OS, Foxy Utils provide you the converted documents in doc format after you simply drag and drop files to the conversion area or choose the file from Dropbox or Google Drive. You need to sign up for processing files but given the fast conversion, I wouldn’t mind entering my details. On the downside, you cannot process a scanned pdf and the OCR feature is only available to premium users. Best for converting multiple files. The conversion process is fast. Files can be chosen from Google Drive and Dropbox. I Love PDF converter is one of the simplest pdf tools online that adopts minimalist approach towards PDF conversion. Powered by Solid PDF, I Love PDF not only offers an online tool to convert pdf to docx, but also allows you to merge, split, and crack pdf files. What I liked the most about this free online tool is the fact that by creating an account for free, you can retrieve your file conversion history which is a good tool provided you frequently use such tools. Files are instantly downloaded after conversion. However, converting large pdfs is a time-consuming process and if you are editing heavily edited documents, you might face some glitches. Therefore, we recommend it for dealing with small pdf files. Why Use I Love PDF? Simple interface and conversion is effortless. Google Drive and Dropbox are integrated. AltoPDF is another excellent pdf to word converter that is easy to use. You can simply drag and drop files in the tool and initiate the conversion. Besides the integrated Google Drive and Dropbox, you also get the option to select the file from Microsoft OneDrive. As per their website, all the files uploaded by the users are processed via a secure connection and stored on an encrypted offsite server. As soon as the website is closed by the users, files are automatically deleted from their servers. Converted files can be downloaded easily with just one click. Processing is instant and even heavily edited files retained formatting during the tests. You cannot upload batch files, which is a disadvantage if you are looking forward to working with multiple files. Neat interface with hassle-free conversion. 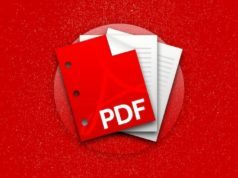 PDF Candy is an online pdf to doc tool that is absolutely free to use. With the option to choose files from Dropbox and Google Drive, this tool easily turns pdf documents into doc format. 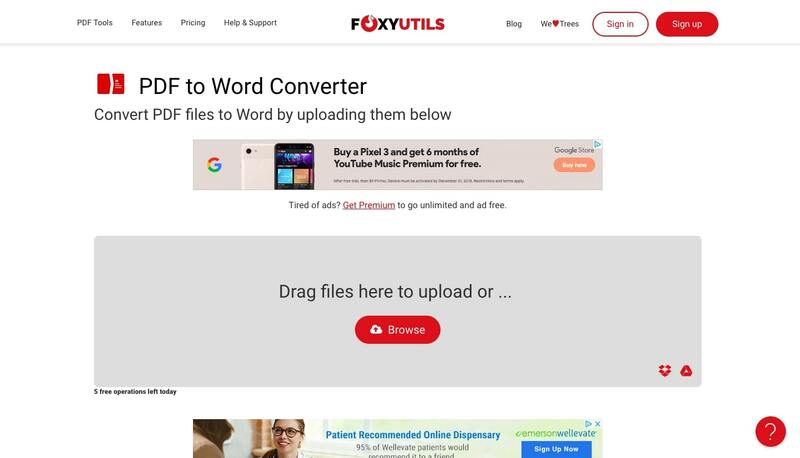 Files are uploaded instantly and you don’t have to sign up to download the converted word files. Moreover, you can save the converted files to Dropbox and Google Drive. The tool was successful in retaining the formatting even in heavily edited documents which could be really helpful. There are no limitations in the free version and you can actually save some money by converting pdf files to word using this tool. The lack of processing batch files somewhat let me down but overall, this is a decent online pdf to word converter you can use. Automatic OCR feature is also included in the tool. Now deal with PDF files with ease! We hope that our list of free online pdf to word converter tools is of great help to you. If you think this list is missing an online tool that deals with the pdf documents much easily, then do mention it in the comments section. .DOC File vs .DOCX File — What’s The Difference? Which One Should I Use?